You'll be £12.99 closer to your next £10.00 credit when you purchase Pegasus Bridge and Horsa Bridge. What's this? This battlefield guide is the companion work to Merville Battery & The Dives Bridges. Together, these two books form the fully revised and updated edition of the previous best selling Battleground Europe Series book Pegasus Bridge & Merville Battery. This book examines, in great detail, the attack by 2 Oxf Bucks and engineers of the British 6th Airborne Division, in six gliders, on the Caen Canal and River Orne bridges in the early hours of D-Day, 6 June 1944. It also describes part of the battle for the village of Bènouville by 7 Para and Ranville by 13 Para. It was the combination of these actions that allowed the link-up between the commandos and airborne troops on D-Day. Thereby, forming a bridgehead to help secure the eastern flank of the greatest combined military operation in history; Operation OVERLORD. In addition to explaining how these objectives were achieved, this battlefield guide relates the battles to the area as it is today. The book contains details of the museums, memorials, cemeteries and associated organizations. All of which will unravel the history of the area to the visitor and armchair traveler alike. To further aid the battlefield tourist, GPS data is also provided for either satellite navigation by vehicle or for viewing on Google Earth. The battlefield tours are organised quite logically, with one each for Pegasus Bridge and Horsa Bridge and a third looking at the German counter-attacked and Allied reinforcements. The tours are written as a mix of narrative account of the fighting, well supported by eye witness accounts, mixed with the tour details – instruction and explanations of what can still be seen on the ground. This is an interesting approach and gives the book more value to the general reader that with some other tour guides. 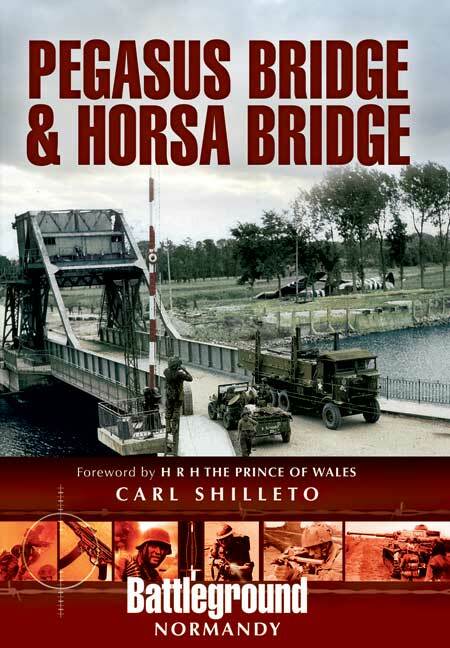 A very significant updated second edition to Carl Shilleto’s “Pegasus Bridge/ Merville Battery” battlefield guide. This first book has now been expanded in to two volumes, each comparable in size to the original and so containing a great wealth of additional information. 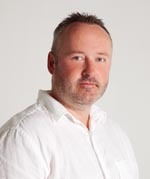 Whilst it possesses all that one would desire from a battlefield guide, it seems unfair to regard this as its only purpose as its historical narrative is not content with a vague overview of events, but quotes from reports, veterans accounts and gives specific details of actions which range from the major to the relatively obscure. It is therefore, quite a comprehensive historical study in its own right, indeed I must say that the original volume was of very considerable use to me when I was carrying out my own research many years ago. This battlefield guide is the companion work to Merville Battery & The Dives Bridges and together, they form a fully revised and updated edition of the previous best selling Battleground Europe Series book Pegasus Bridge & Merville Battery. 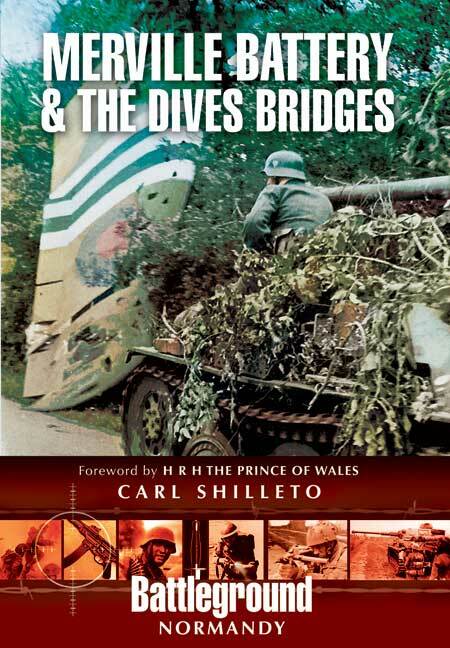 This book examines, in great detail, the attack in six gliders, on the Caen Canal and River Orne bridges in the early hours of D-Day, 6 June 1944. In addition to explaining how these objectives were achieved, the battlefield guide also relates the battles to the area as it is today. To further aid the battlefield tourist, GPS Data is also provided for either satellite navigation by vehicle or for viewing on Google Earth.